You know that seeing your dentist for regular dental checkups every six months is important for the health of your teeth and gums. But did you also know that seeing the dentist just might save your life? 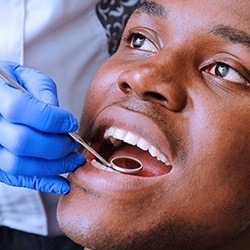 A standard part of a dental checkup at Bethel Dental in Accra, Ghana is an oral cancer screening. Like other cancer screenings, this one is designed to pinpoint early warning signs before the disease can develop and concerning symptoms begin. Oral cancer is a highly treatable and often curable disease when found early during an oral cancer screening. Why Choose Us for Oral Cancer Screenings? 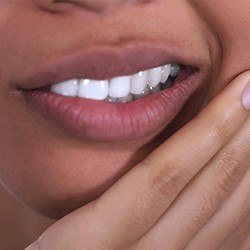 At Bethel Dental, our team uses the latest technology to screen for oral cancer. With this advanced tool, we can find cancerous cells and pre-cancerous cells in soft tissue before any signs are visible to the naked eye. This advanced screening is safe, effective, and comfortable, and it can be completed in just a matter of minutes. Bethel Dental is the only practice in Ghana to have the technology needed for this type of oral cancer screening. An oral cancer screening at Bethel Dental also includes a visual inspection of your mouth as well as your lips and face. 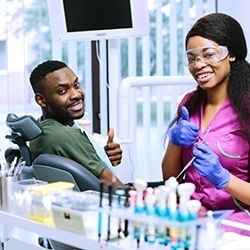 While these screenings happen twice each year in our office, our dentists also want you to be familiar with signs that may indicate oral or pharyngeal (throat) cancer so that you can be on the lookout for them throughout the rest of the year. If you find anything of concern, then please don’t wait for your next appointment. Call Bethel Dental immediately to schedule a visit. Contact Bethel Dental to schedule your dental checkup and oral cancer screening. Located in Dzorwulu-Accra, Ghana, we serve all of Ghana, as well as patients from overseas.